Wilson Library offers many rich opportunities for tours and field trips. With exhibit spaces on each floor, the library is home to about a dozen changing exhibitions each year, so there’s always something to see. 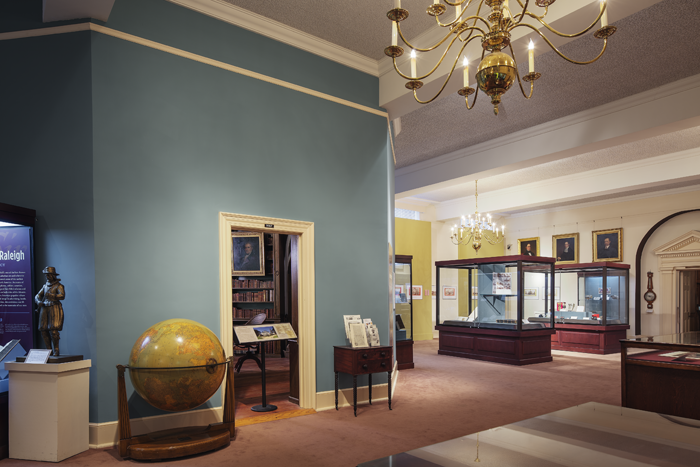 For current exhibitions and upcoming events see the slideshow on Wilson’s home page. 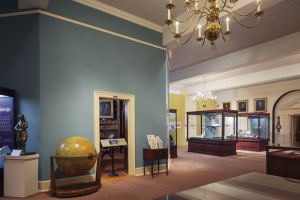 Visitors can also view the architecturally impressive Fearrington Reading Room, a small exhibit room dedicated to Thomas Wolfe in the Special Collections Research Room, and permanent exhibits related to North Carolina history in the North Carolina Collection Gallery. We welcome on- and off-campus groups to visit our building, our exhibitions, and our collections. For more information, email wilsonlibrary@unc.edu. We regularly give talks and provide research assistance to a variety of off-campus groups, including classes from other universities, genealogical and local history societies, professional organizations, K-12 classes, summer camps and educational programs, and retirement communities. If you are interested in bringing a group to Wilson Library, please send us an email at wilsonlibrary@unc.edu.